There are many types of rugs and rug construction to choose from, but there’s nothing quite like finding the right rug to pull a room together and define the space. Part of the fun of finding that right rug is in discovering why rug construction matters. Knowing about rug construction types helps to narrow the options to create a room you can enjoy for years to come. The main rug construction types include various methods of creating rugs by hand, and a general category for machine made rugs. Hand knotted rugs are created by wrapping yarn around each warp thread and then knotting it – a labor intensive technique that results in the longest lasting rug construction. A hand knotted rug can be folded in both directions, rather than rolled, and is unlikely to shed. In general, a higher knot count corresponds to a heavier rug and higher quality. Hand tufted rugs, which often have a higher pile height than hand knotted rugs, are made by pulling individual yarns through the rug’s backing material, and then cutting the loops to create a smooth, cut-pile surface. A backing material (usually canvas) is glued to the back of the rug to hold the yarn in place. Hand hooked rugs are created with a process similar to hand tufted rugs, except that the loops of yarn are left uncut. The process takes slightly less time than hand tufting. Hand hooked rugs also have a fabric applied to the back of the rug with adhesive. Hand woven rugs are created from plush, twisted, and slightly felted yarns in materials like wool or polyester. A team of weavers works together to shoot the yarns across a vertical loom with a steel rod. The result is a luxuriously deep pile rug. Other specialty rugs can also be hand crafted are available. Examples include custom pieced cowhide rugs, which are long-lasting and authentic, and unique enough to draw attention. Machine made rugs are loomed on large machines that weave spindles of fiber into a thin mesh backing, which is then backed with a coarse latex coating. Machines enable rug manufacturers to create some of the most unique patterns and effects. They also are able to feature beautiful, vibarant colors that are able to be showcased due to the technology in the machines. These rugs are manufactured from a range of materials, including wool, jute, and synthetic materials for long lasting wear. However, the pile may be low and may crush more easily. Machine made rugs include power loomed rugs with intricate patterns, at a moderate price point. Occasionally, more modestly priced rugs may begin to show wear earlier, or may tend to curl up at the edges due to the weaving technique. What if you like a rug because the colors are right, and the size works well? Or what if you’re swimming in options and have to choose one? This is why rug construction matters. Rug construction affects more than longevity, although that’s certainly important – it also affects how the rug looks and feels, as well as the overall quality of the rug. A rug that requires a long time to construct by hand, like a hand knotted rug with a high knot count, will be one of the most luxurious and valuable. Whatever the rug’s construction, it’s generally a good idea to choose a rug pad sized to accompany it, to protect your rug, your feet, and your floors. Rug pads provide a boost of extra cushioning underfoot and increase safety by decreasing the chances of a rug slipping. Rug pads also enhance the lifespan of your rugs, by enhancing air circulation to keep mold and mildew at bay. And although a high quality rug also has a protective rug backing, a rug pad further protects your floors from scratches and dyes. 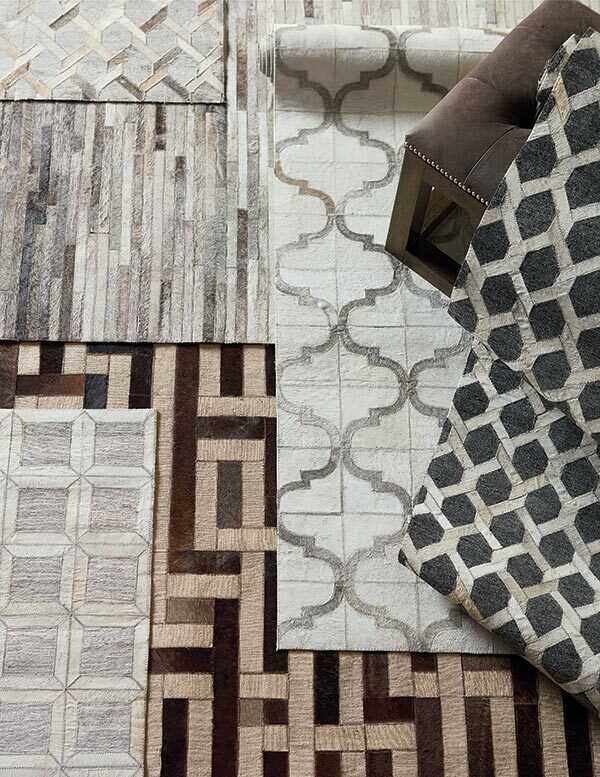 Bassett Furniture’s rug collection includes the finest quality examples from a range of rug construction types. 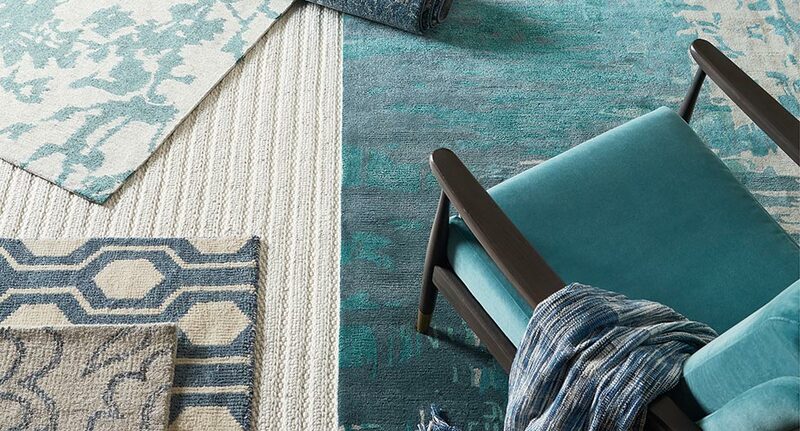 Whether your room could use a patterned rug or a solid rug, shop Bassett Furniture’s rug gallery for the rug that will enhance or define your room’s style.